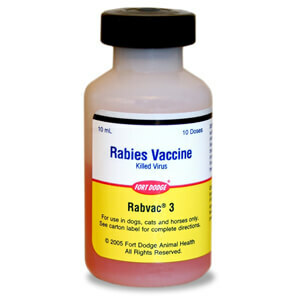 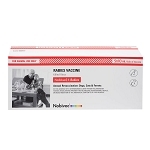 Read This Before You Order Rabies Vaccine: The states of AK, AL, AR, CA, CT, GA, HI, IA, ID, IL, IN, KS, MD, ME, MN, MO, MS, MT, NC, ND, NE, NJ, NM, NV, NY, OR, RI, SC, TN, TX, UT, WA, WV and WY. 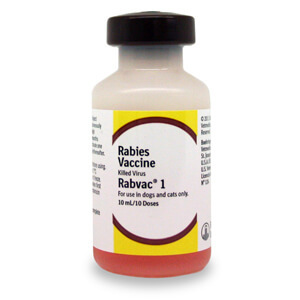 have laws prohibiting the shipment of rabies vaccine to these states. 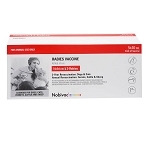 State laws are often changed so this list cannot be considered complete. 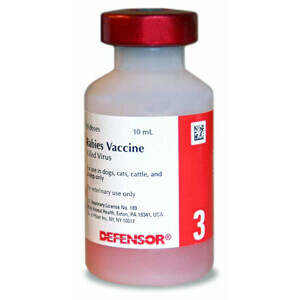 In addition, some state and local laws require that rabies vaccine be administered by a licensed vet only and make it illegal for you to vaccinate your own animal or refuse to recognize the vaccination if you do it yourself. 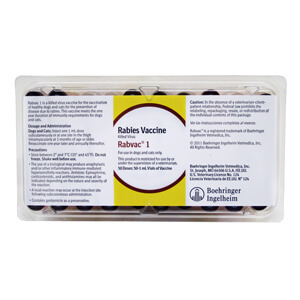 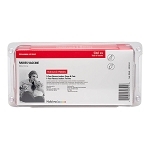 Before you order rabies vaccines, investigate your local laws and regulations. 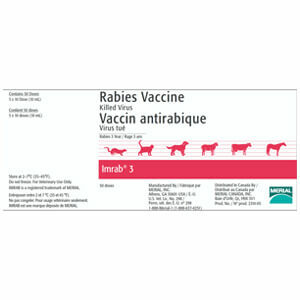 Do not order unless you find it is legal for you to buy and administer rabies vaccine to your animal.